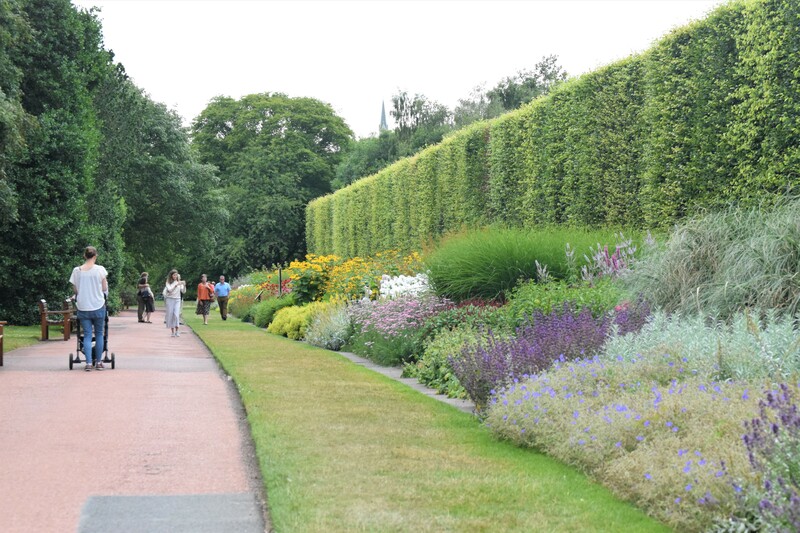 The Herbaceous Border at the Royal Botanic Garden Edinburgh is 165m long and is backed by one of Britain’s finest beech hedges. 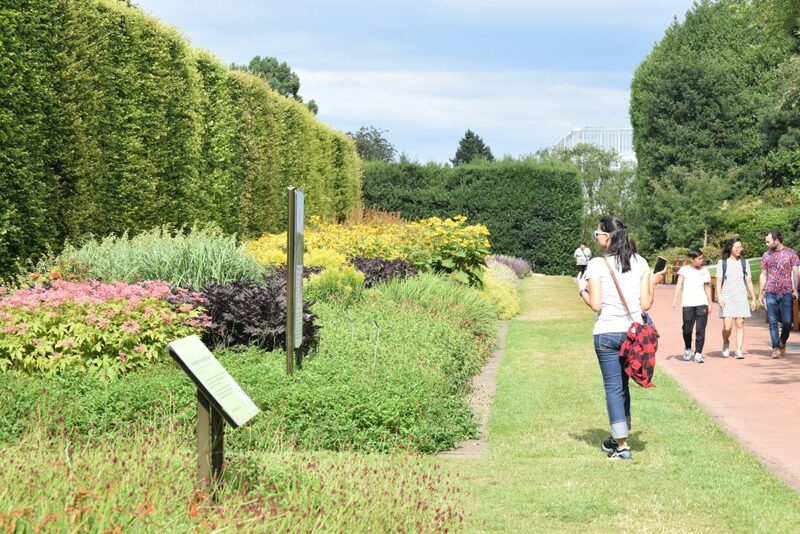 The border is currently a riot of colour designed in a rainbow spectrum running from hot reds, oranges and yellows through to cool blues, mauves and whites. The Herbaceous Border requires feeding with organic matter in the form of a mulch in spring and the removal of the dead stems in the winter months. This is carried out by a dedicated team of horticultural staff and volunteers. The intensity of colour in the Herbaceous Border is at its peak during the months of July and August. Make sure to visit while it is putting on such a vibrant and colourful display. Pictured below are some show stopping plants currently in bloom. 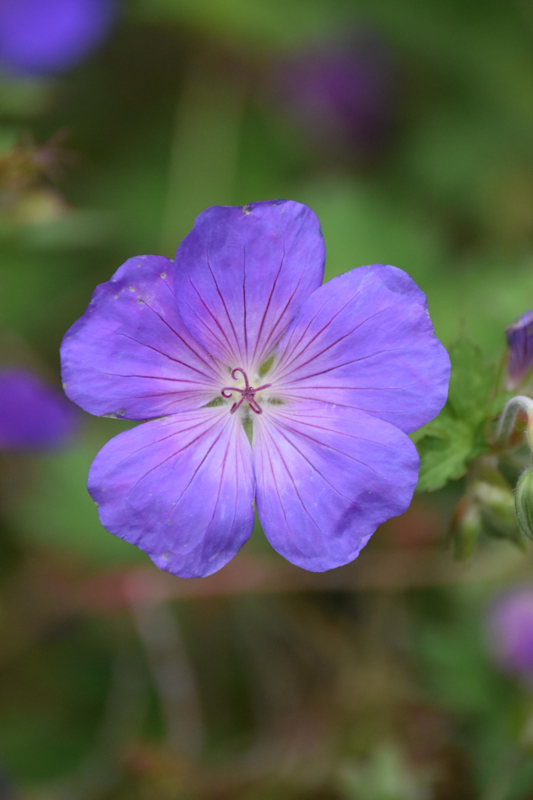 This plant has attractive rounded flowers, each a rich blue with a white central eye and dark red veining. It has a sprawling and romantic habit. The flowers start in June and can go on right until November. 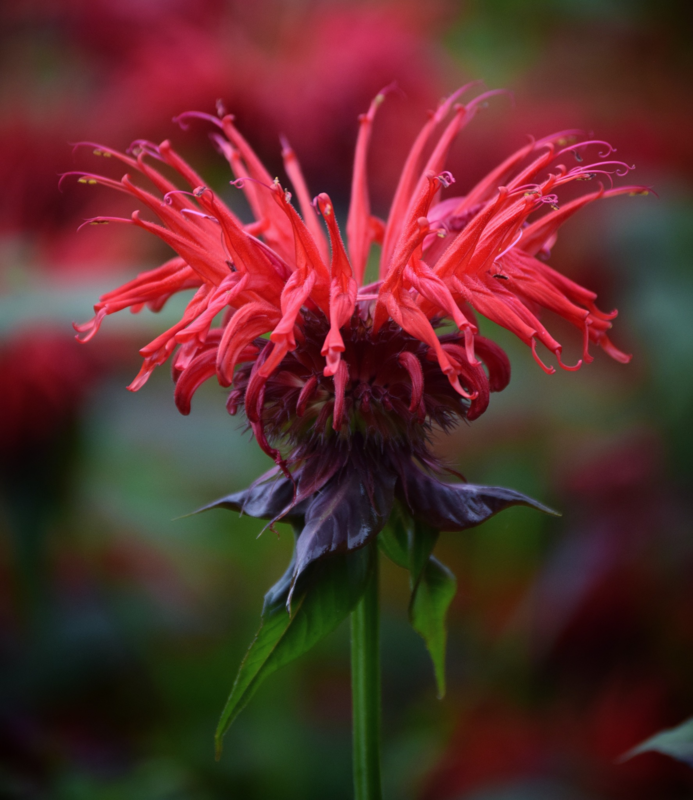 It may need dead heading during the summer to refresh the plant as this can help promote a second flush of flowers. This plant is a traditional favourite for a herbaceous border. It has striking red shaggy flowers that bloom through the summer months. Foliage is incredibly fragrant, and it is a favourite for pollinators. 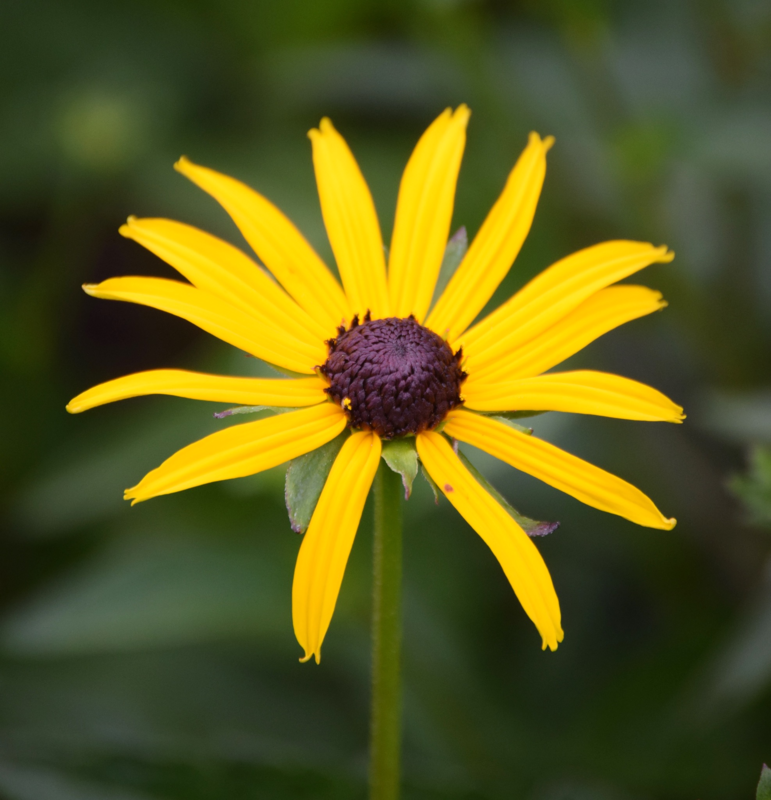 This plant has a RHS AGM and bears bright, golden-yellow, daisy-like flowers with a dark button eye in the centre. It certainly adds a splash of bright colour in the border and works well in prairie-style planting schemes with ornamental grasses. 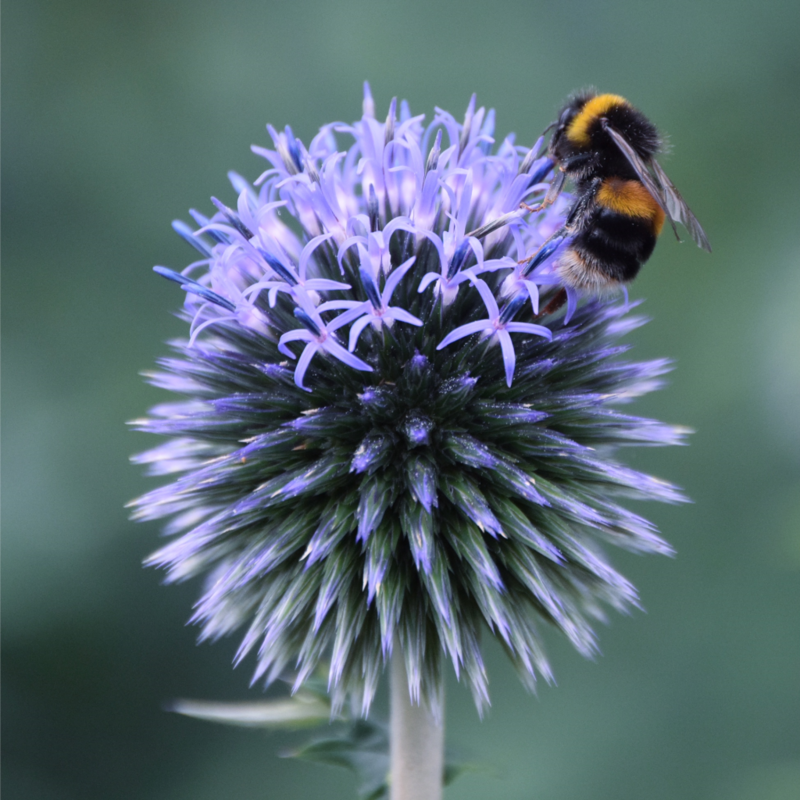 Bees just love this plant and it will be covered by pollinators for months. The flowers are a steely blue and a great architectural feature in any border due to their spherical shape. The green-grey foliage is prickly yet attractive before the blooms emerge. 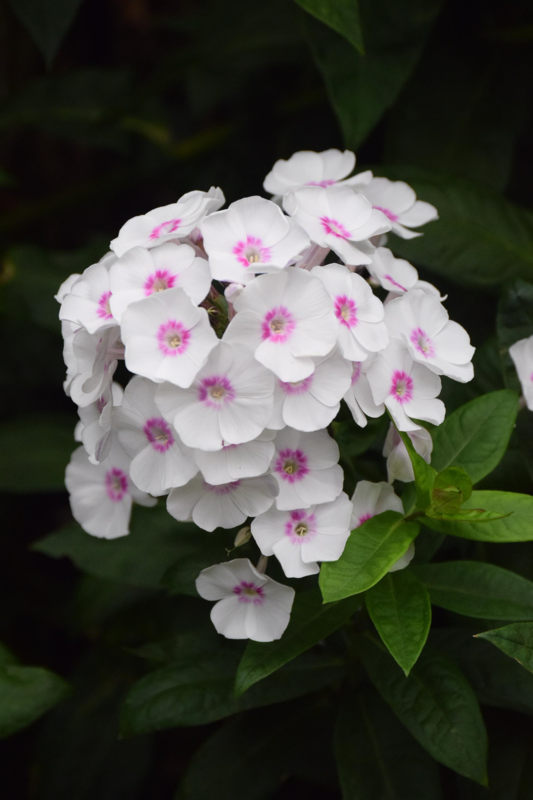 White flowers with an eye catching pink centre that bloom from July to August. Sometimes referred to as summer lilac due to its delightful fragrance. The flowers grow on upright stems and are a classic for any herbaceous border.